Stratedigm’s automation suite is designed based on the same principles as our flow cytometers – innovative, compact, and flexible. By controlling all steps in high-throughput flow cytometry, users can quickly and easily create multi-plate experiments, acquire data, and perform in-depth analysis on thousands of samples all in one software platform. From single plates and eppendorf tubes to hundreds of plates, the Stratedigm automation suite has you covered. 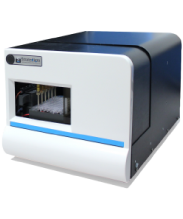 Stratedigm’s A600 HTAS is a blazing-fast plate loader with six injection probes working in unison and an all-ceramic high precision pump. 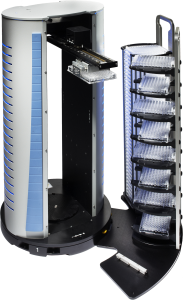 The A700 HTH is a high-speed microplate mover with extensive vertical reach, bi-directional telescoping arms, and unlimited base rotations within a 360° workspace. 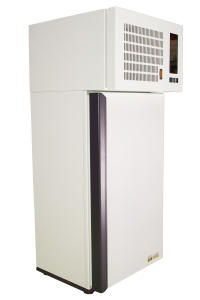 The A700 interfaces with all automated flow cytometry products. For the easiest automated environment control, the A800 offers wide temperature ranges and true orbital shaking in a compact design.